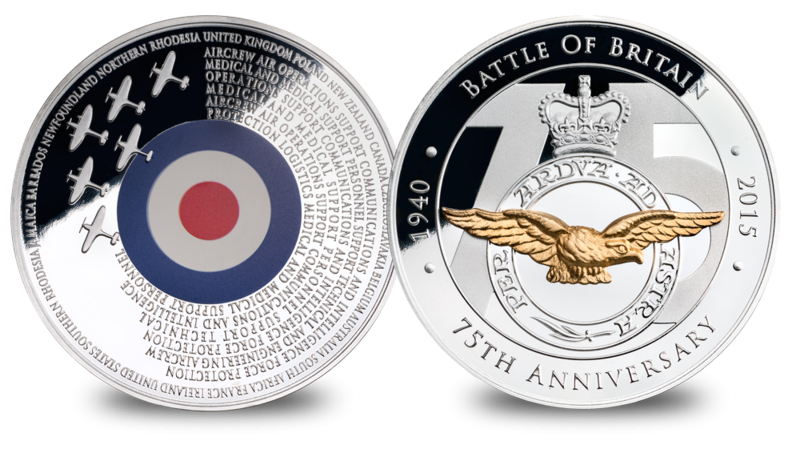 The Royal Air Forces Association is delighted to reveal the official Battle of Britain 75th anniversary commemorative - exclusively available through The London Mint Office.This stunning Battle of Britain 75th Anniversary Commemorative pays heartfelt tribute to all who served during that fateful summer of 1940. British and German air forces clashed in the skies over the United Kingdom during the summer and autumn of 1940. They were locked in the largest sustained bombing campaign to that date. The battle was a significant turning point of World War II and it only ended when Germany’s Luftwaffe failed to gain air superiority over the Royal Air Force. The Battle of Britain was a time unequalled in our history - ‘our finest hour’, in Winston Churchill’s words - on which our survival as a nation and the whole outcome of the Second World War depended. 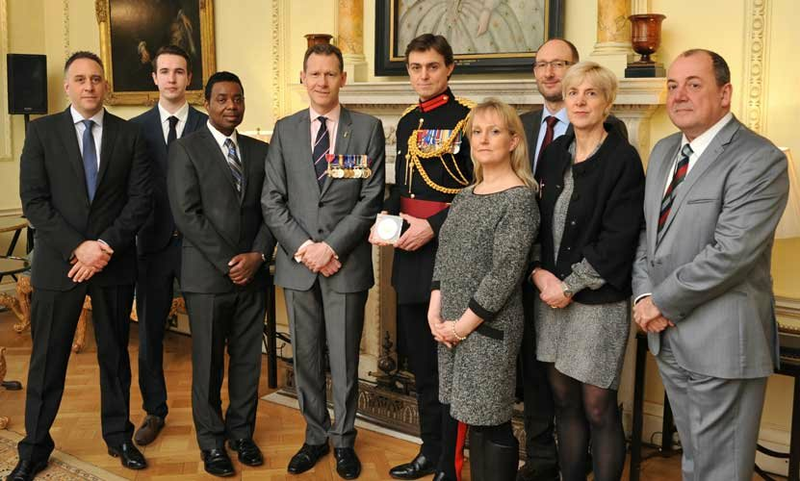 Struck in Proof standard, the highest quality possible by Worcestershire Medal Service, medallists to HM The Queen only 2,015 medals have been issued worldwide. The reverse features the Royal Air Force crest and iconic Hurricanes and Spitfires, and the names of the 16 allied countries who participated in the Battle of Britain. The obverse features the eagle of the RAF crest accented in pure Gold set against the frosted ‘75’ background denoting the number of years since the Battle of Britain. Included with each medal is a DVD of a unique medal presentation ceremony. 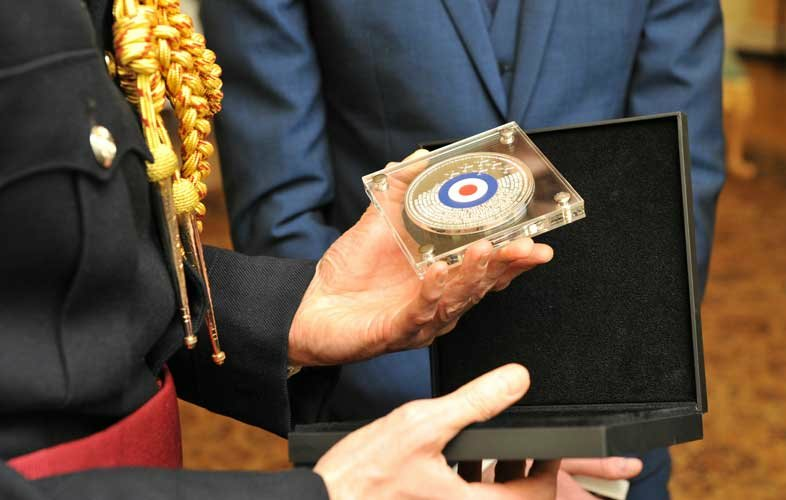 On the 75th Anniversary of The Battle of Britain, overseen by Air Marshal Sir Dusty Miller KBE, each ambassador of the 16 countries that took part in the Battle of Britain was presented with this medal in recognition of their nation’s contribution.